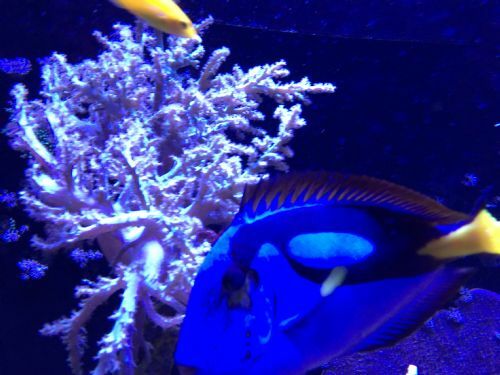 Brother left tank during mission and recently noticed the skin of the blue tang missing near the eye. Please help. Have you looked at head and lateral line disease? that is what comes to mind for me. What is the the Tangs diet? Is it mostly greens or more meaty? There are so many things it could be, are there any white spots, is the fish acting reclusive or staying out of the light (possibly marine velvet)? Can you describe any other behaviors or symptoms? Also one other thought it could be aggression from another fish, have you seen any fish fights going on?